This February I had the chance to escape the city for a week and enjoy the mountains near Sibiu in their last weeks of winter. 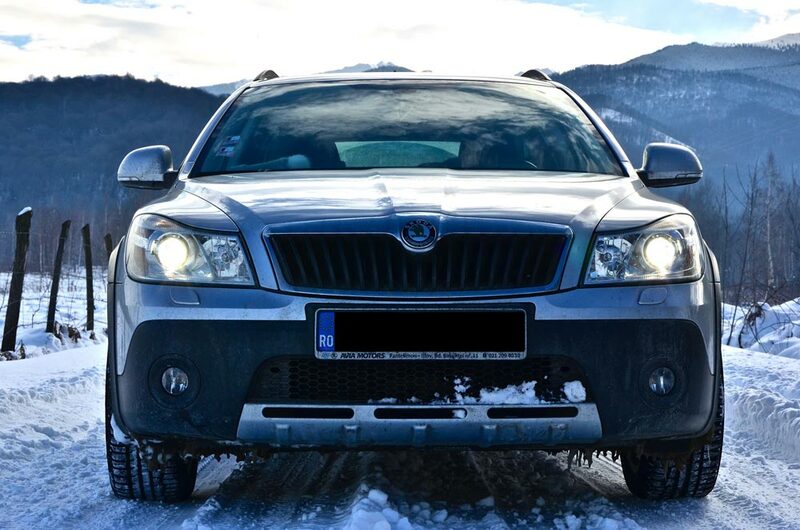 And I had the most reliable companion I could’ve asked for: the Skoda Octavia Scout. This time I chose to focus on safety and comfort. I didn’t want to worry about a single thing, in order to fully enjoy the music, the weather, the places I visit, the people I meet and the food I try. It just seemed inappropriate to look for some kind of thrill and forget about the small things, the simple things. 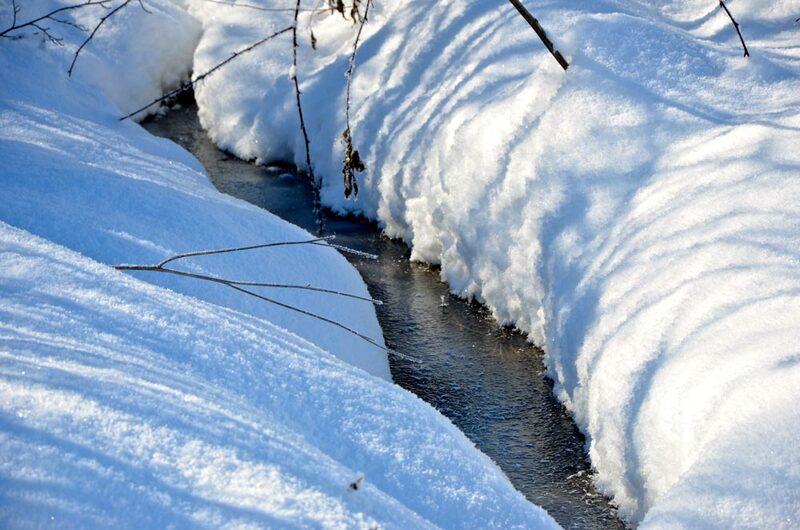 The landscape here, in the area of Arpasu village, Sibiu, is magical, with forgotten paths near the woods, a sharp sunlight coming from behind the mountains and a frozen feeling of excitement in the air. Mister Scout was invincible. As we left the mountain cabin, the snow screeched under the Nokian 17’’ tyres and, with no problem, we were the first to drive on the white road that morning, after it snowed the whole previous night. 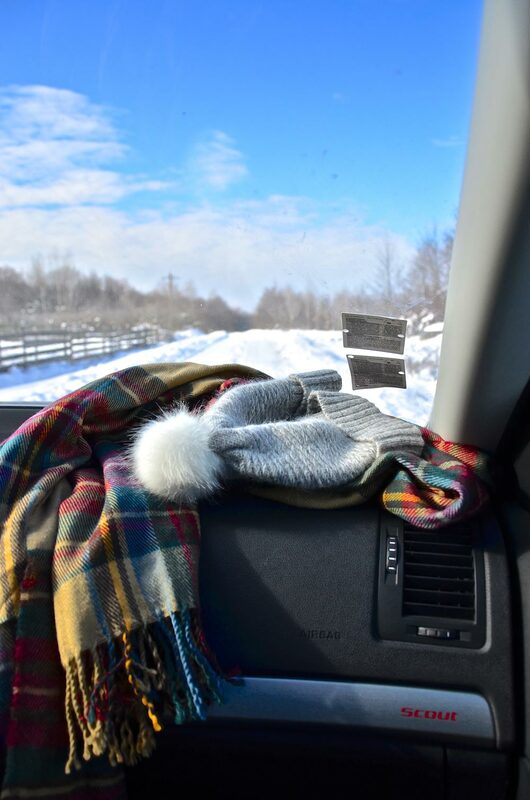 The interior is extremely comfortable and spacious: you know that annoying feeling you have in winter when you are covered in clothes and, when you enter your car, everything seems considerably smaller!? I don’t. I had my bag, my camera and lenses, water bottles and snacks all around the front of the car and everything had its place. The thing with shooting cars during cold periods is the fact that I am constantly in and out of the car, freezing to death outside while lying in the snow, trying to get the perfect shot. But mister Scout once again saved me, keeping me from getting a cold with the performant bi-climatronic system and the heated seats, which guarantee that you will unfreeze instantly when you enter the car. The actual driving performance was tested during night time in a snow storm. The car feels very safe thanks to both the interior comfort and to the 2.0 TDI four cylinder turbodiesel, 150 HP engine. 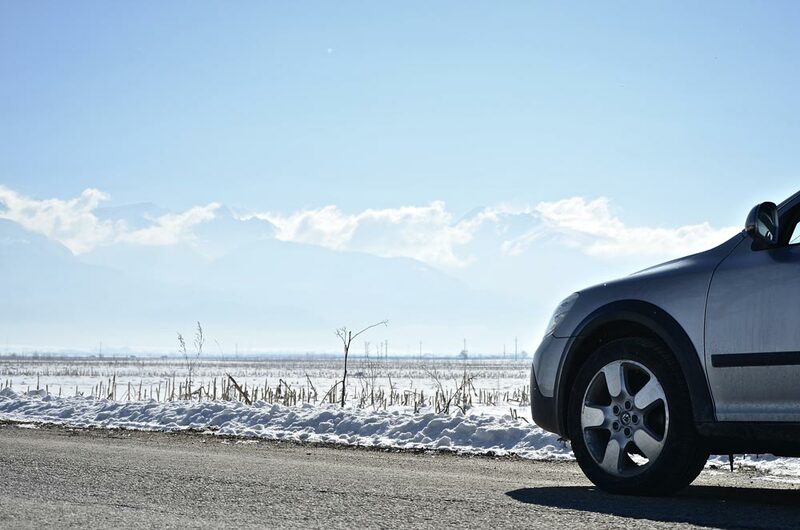 Its sturdiness comes from having a little more ground clearance than the usual Skoda Octavia(additional 3,3 cm to be exact) and, of course, from the four-wheel drive. Because the road was quite tricky, snowing heavily and almost no markings on the road, the features I found most useful were the bi-xenon headlights and the headlight wash system which greatly improved the visibility. Still, with all the consumers on (AC, side-mirror heating, seat heating and the rest of the features), the fuel consumption was only 5.8 litres/100km. As for the design, I think the black accents from the bumpers give mister Scout a more off-road, fierce look, which complements its versatility. 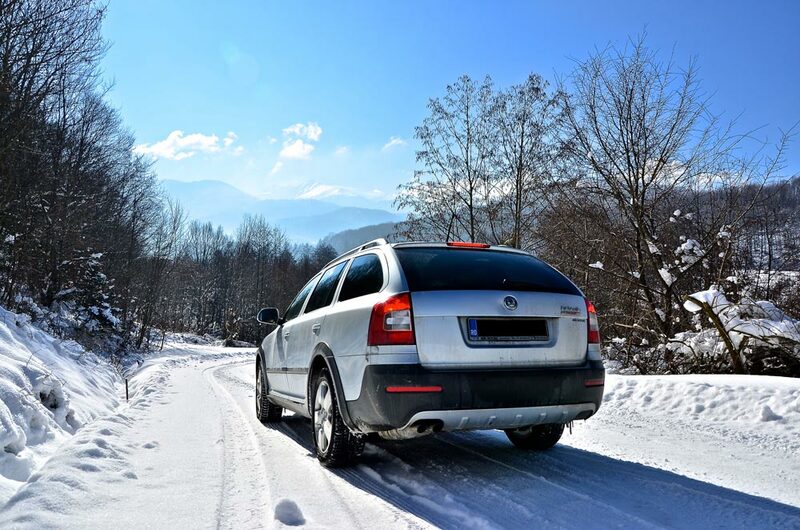 It is truly a car with a more adventurous personality than your usual Skoda, quite attractive for those of you who have an outdoorsy lifestyle. Scout is a great multi-purpose car. It offers a lot of space and features which can be very useful for a family car and for long road trips, but the small fuel consumption makes it suitable for everyday use in the city. The suspensions guarantee a smooth drive on the romanian roads and makes parking a lot easier(yeah, Bucharest people you know what I mean 🙂 ). 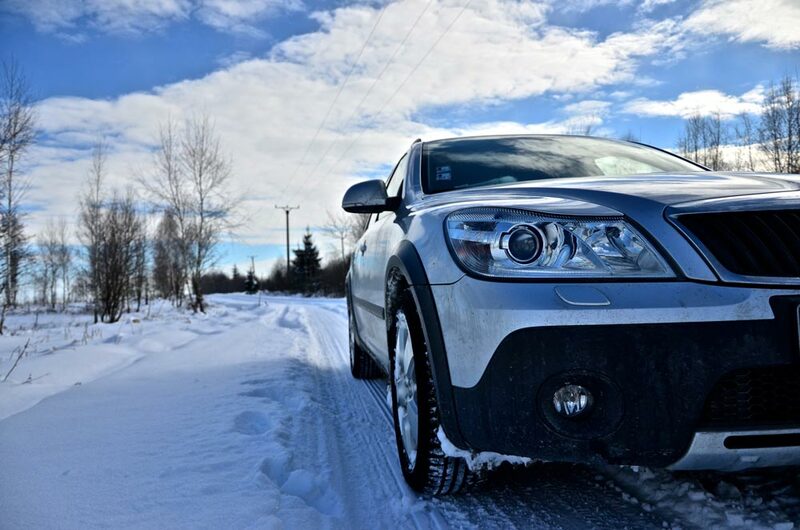 If you would like to own an SUV but aren’t convinced by what you can find in a decent budget, I urge you to give the Skoda Octavia Scout a try. Head over to Avia Motors and play a little bit with the car configurator and schedule a test drive. It may be just the white horse you’re looking for, of course given that you’re the knight in the fairytale. (we all have our stories, don’t we). //I think it will be a beautiful surprise and the beggining of a fairytale love story. There comes a time when you will need peace and quiet. You look at the road in front of you, take only the bear necessities and just follow your heart. It is a time for conversations and meditation, indulging in the pure and serene landscape. Where is this road heading to?